This infinity necklace has a never-ending shape. Crafted in sterling silver, it features a line of diamonds at its core and hangs from an 18" chain. 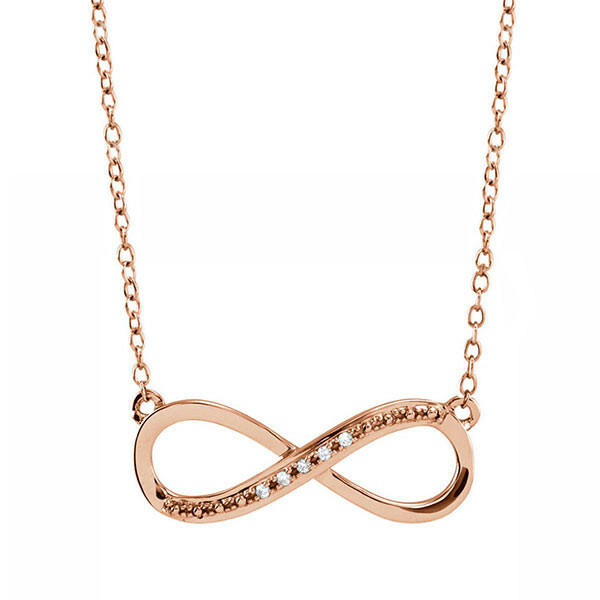 The necklace that swirls, curls and twirls is suitable for any number of occasions, from informal to fancy, and will most likely become a favorite piece of jewelry.